State AGs and bank regulators say reports by the OCC and OTS ?are misleading and likely to lead policymakers and the public to develop misperceptions about the effectiveness of loan modification programs.? A group of state Attorneys General and state banking regulators is urging the OCC and OTS to encourage national banks and federal thrift servicing operations to modify large numbers of mortgage loans that are becoming unaffordable for consumers. ?We have done far too little to modify unaffordable loans, not too much,? the State Foreclosure Prevention Working Group said in a letter Monday to John C. Dugan, U.S. Comptroller of the Currency, and John M. Reich, Director of the Office of Thrift Supervision. The Foreclosure Prevention Working Group is led by Iowa Attorney General Tom Miller. The letter, which was signed by 12 state attorneys general and 3 state bank regulators [list below], questioned a recent report by the OCC and OTS that indicated 55% of loan modifications made by national banks and federal thrifts were re-defaulting within six months. Other data, including data collected by the states, show a lower re-default rate, the states said. The states questioned the OCC re-default figure, and pointed out that it could discourage Congress and other policymakers from promoting affordable loan modifications as a crucial response to the nationwide foreclosure crisis. ?The problem is not modifications,? said Iowa Attorney General Miller. ?The problem is the quality, effectiveness and aggressiveness of the modifications. Our view is that the failure to act sooner and more aggressively has perpetuated the downward trend in real estate markets across the country, and the failure to prevent foreclosures has depressed property values and increased the likelihood of more foreclosures,? Miller said. One reason previous modifications are defaulting is that the modifications did not actually help borrowers, the states said. ?There is a growing body of research that suggests the majority of loan modifications in the past year have not led to meaningful payment relief to homeowners,? they said. In fact, many modifications have actually increased consumers? monthly payments. ?We should not be surprised to see a significant re-default rate for these types of loan modifications,? the states? letter said. ?Homeowners struggling to afford their current mortgage are unlikely to be able to afford higher monthly payments.? ?We want to convey our deep concern about OCC and OTS efforts to encourage and monitor loan modification efforts,? the letter said. ?The data suggests that national banks and federal thrifts are relying on traditional loss mitigation techniques common for prime loans in appreciating markets, rather than applying the techniques and lessons learned by subprime servicing specialists on the need to more aggressively adjust payments and principal balances.? The re-default rate reported by the OCC and OTS is especially troubling to the states because national bank and federal thrifts service the vast majority of prime, Alt-A, and Option-ARM loans, all of which present immediate challenges in 2009. The letter to OCC and OTS was signed by the Attorney Generals of AZ, CA, CO, IL, IA, MA, MI, NV, NC, OH, TX, and WA, and the state banking regulators for MD, NY, and NC. States ask for cooperation with the federal regulators: The State Foreclosure Prevention Working Group told the federal officials it was ready to work cooperatively with them to develop a comprehensive report on the efforts of mortgage servicers to prevent foreclosures. ?We do not believe that regulatory turf battles should prevent us from developing a collaborative report on foreclosure prevention results that would provide increased transparency, consistency, and reliability,? the states said. ?We are concerned that either the institutions supervised by the OCC and OTS have thus far failed to offer homeowners sustainable loan modifications, in contravention to guidance issued by the federal banking agencies, or that the data collection has some other limitations not identifiable by your current report,? the letter said. The state AGs and bank officials asked the two federal regulators to ?provide to the public a full and transparent report of loan modifications made by national banks and federal thrifts,? 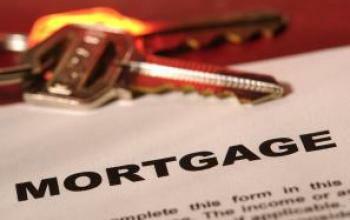 including detailed information on types and numbers of loan modifications ? and whether the modifications had helpful terms for homeowners, such as lower monthly payments. ?Without a more transparent and robust reporting, we are concerned that the statistics publicized by the OCC/OTS Report are misleading and likely to lead policymakers and the public to misperceptions about the effectiveness of loan modification programs,? the letter said. For more than a year, the State Foreclosure Prevention Working Group has worked to urge servicers and lenders to find loan modifications that would benefit both lenders and homeowners. The Group has issued reports on loan modification activity by 13 major non-bank subprime servicers ? including a re-default rate of 25.8%, compared to the 55% re-default rate reported for loan modifications made by national banks and federal thrifts for the same period. The OCC has discouraged national banks from cooperating with the States? effort. ?Even adjusting for difference in data reporting, this difference is substantial,? the states said.